Tony Benn, one of the UK’s foremost radical leftist politicians, president of Stop the War Coalition, long-time supporter of Kurdish rights, sadly passed on today. Here we recall his words on the Terrorism Act 2001, which criminalises the entire Kurdish community and many others as ‘terrorist’, when it was first introduced. 18. Why Does the U.S. 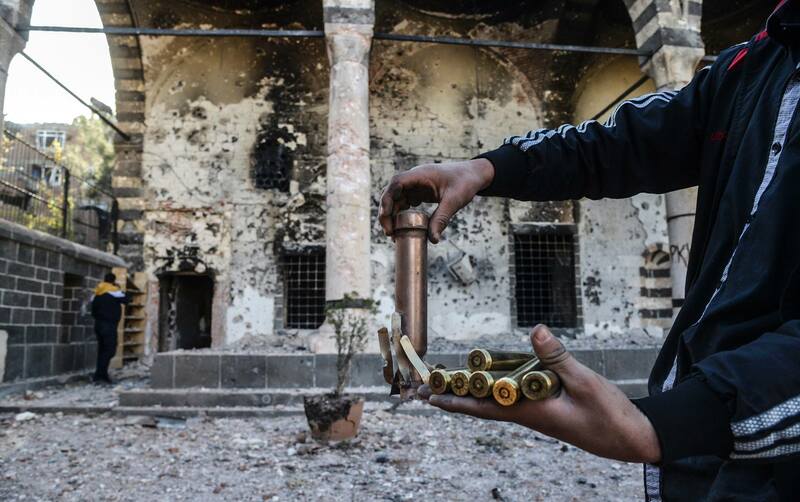 Call Kurds Terrorists? 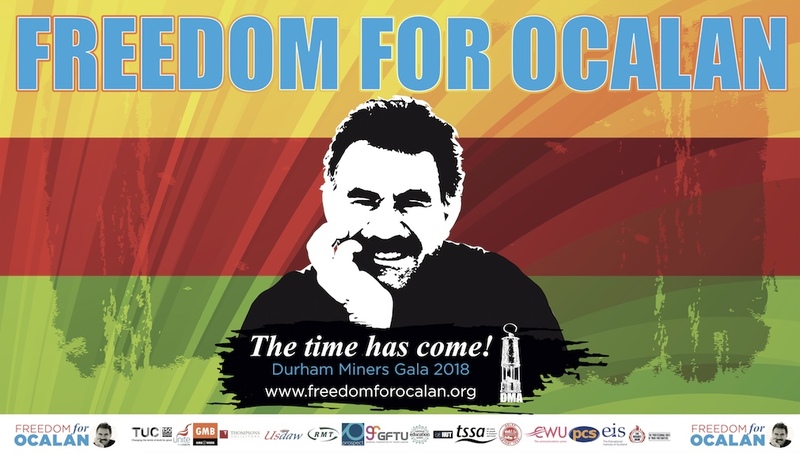 The face of jailed leader of the terrorist Kurdistan Workers’ Party (PKK) Abdullah Öcalan briefly beamed down from billboards in Southeast Turkey until police tore down the posters, a mark of official unease over his enduring influence among Kurds as local elections loom. Öcalan’s supporters see the vote as a make-or-break moment for stalled peace talks aimed at ending 30 years of conflict between Öcalan’s PKK and the Turkish state. “There is a feeling that if … we achieve a stronger [election] result, the peace process will advance,” said Gültan Kışanak, mayoral candidate in Diyarbakir for the pro-Kurdish Peace and Democracy Party (BDP) that governs the city. The People’s Democracy Party (HDP) has experienced a series of violent attacks by Turkish ultra-nationalists during the local election campaign, most recently in the resort town of Fethiye, where mobs have attacked a HDP election office and local Kurdish businesses, and yesterday in Tekirdağ, where a campaign bus was stoned, injuring a HDP mayoral candidate. 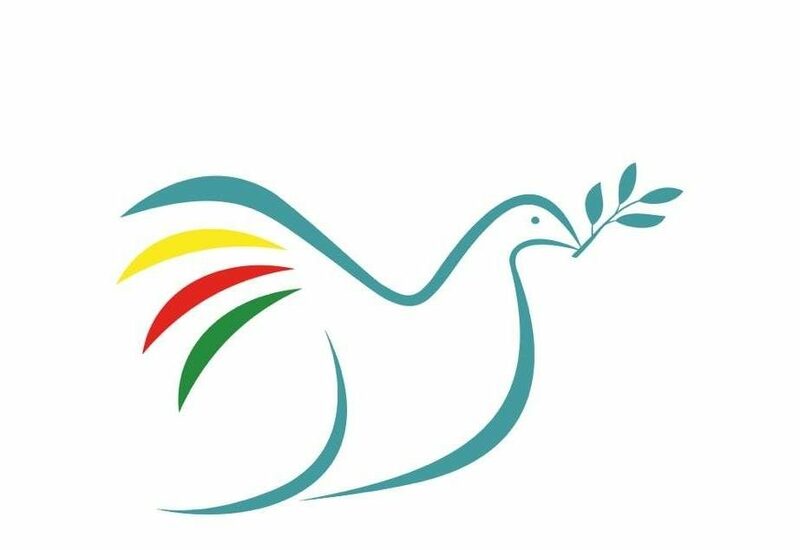 The HDP is running a parallel campaign with the pro-Kurdish Peace and Democracy Party (BDP), on a platform that includes supporting the peace process and promoting peaceful coexistence of Kurds and Turks. At a press conference on Tuesday, HDP co-chairs Ertuğrul Kürkçü and Sebahat Tuncel called on the government to act to “restore security” in the election campaign. A spate of attacks on Turkey’s pro-Kurdish People’s Democracy Party (HDP) is harming its ability to campaign for local elections later this month and threatens the fairness of the outcome, party leaders said yesterday. Public officials, including members of the police, are involved in the attacks in an attempt to stoke Turkish nationalist sentiment ahead of the March 30 mayoral elections, Ertugrul Kurkcu, HDP co-chairman, also told a news conference. On Sunday, dozens of men threw rocks through the windows of an HDP office in the Mediterranean city of Fethiye and tried to tear down a party emblem from an outside wall, footage from the IMC television channel showed. Police formed a barricade to hold back an angry crowd waving Turkish flags and numbering in the hundreds, although they did not prevent a few dozen approaching the building with sticks and stones. It’s been a hectic 36 hours in Turkey with the welcome news of the release of four journalists, Tuncay Özkan, Merdan Yanardağ, Yalçın Küçük (see my blog of 15 December 2013) and Hikmet Çiçek who were accused of committing terrorist acts in the Ergenekon case. Today saw the release of TURHAN ÖZLÜ, who has been in Silivri Prison since 19 Augusts 2011. On his release, Özkan has thanked the European Federation of Journalists and its affiliates for their tireless campaigning for the freedom of journalists in prison. Özkan and the three journalists were released Monday evening have been united with their families and friends. The releases were made possible due to the change in the country’s anti-terrorism laws, which reduced the maximum pre-trial detention period from 10 years to five years. There are now no imprisoned journalists in the Ergenekon case. The Committee to Protect Journalists is concerned by Turkish Prime Minister Recep Tayyip Erdoğan’s threats to shut down YouTube and Facebook in order to, in the premier’s words, prevent the negative impact of the Internet on society. “We call on the government of Recep Tayyip Erdoğan to stop censoring or threatening to censor the media in an attempt to control the free flow of information,” CPJ Europe and Central Asia Program Coordinator Nina Ognianova said. “Social media are not a menace to society, as the prime minister has repeatedly claimed–restrictive government policies are. Kurdish people’s leader Abdullah Öcalan’s writings are been presented these days in Italy. The Italian version of the Road Map has been published some weeks ago in Italian, by Punto Rosso. Yesterday the book was presented in Rome at Palazzo Marini. Organized by SEL (Left, Ecology and Freedom) party, the meeting was chaired by Arturo Scotto, SEL deputy and attended by Öcalan’s lawyer Mazlum Dinc, Andrea De Maria, Democratic Party (PD) deputy, Öcalan’s Italian lawyer Arturo Salerni, Raffaele Salinari (Punto Rosso Publishing house) and Reimar Heider (International Initiative Publications). The meeting was introduced by former European MP Luigi Vinci. Following the death on March 11th of 15-year old Berkin Elvan, who was shot by the police with a teargas canister when he was out to buy bread during the Gezi protests last June, protests have been staged all across Kurdistan. In Amed, students from Dicle University marched with the slogans “Berkin Elvan is immortal”, “Berkin’s murderer is the AKP police” and “Kurdistan will be the grave for fascism”, carrying slogans that read “With what conscience will you be eating bread, Tayyip?”, “What we are holding is bread, not a sling”. The students were interrupted by the police when they tried to open a stand to distribute the newspapers ‘Azadiya Welat’, ‘Özgür Gündem’ and ‘Demokratik Ulus’. Istanbul police made no warning before attacking thousands soon after the funeral of 15 year old Berkin Elvan whose death, caused by a tear gas canister fired at him by riot police, has made tens of thousands of people throughout the country pour out into the streets since yesterday. Berkin died early Tuesday morning after remaining in a coma for 269 days since he was shot while on the way to buy bread for his family during Gezi Park protests in June of 2013. The European Parliament has published a resolution in response to the European Commission’s 2013 Progress Report for Turkey’s Europe accession process. The resolution expresses ‘concern’ about corruption scandals in the Turkish government and judiciary, the excessive use of police fore against anti-government protesters last June, and about poor levels of freedom of expression and media pluralism that do not reach ‘European standards’. On the Kurdish conflict, the resolution supports what it calls the “government’s initiative of striving for a settlement with the PKK, with the aim of putting a definitive end to the PKK’s terrorist activities”. Thousands of people attended a funeral in the northern Kurdish city of Qamishlo in Syrian Kurdistan (Rojava) on Wednesday for nine victims of a triple suicide bombing, a monitoring group said. Four women were among those killed in Tuesday’s bombing of Hadaya hotel in the heart of Qamishli, said the Syrian Observatory for Human Rights, updating the death toll to nine. The attack was carried out by members of the Islamic State of Iraq and Sham, Syria’s most hardline jihadist group, whose fighters have been pitted against Kurds in several areas of northeast Syria. ISIS’s jihadists are also fighting against other rebel groups, including Al-Qaeda affiliate Al-Nusra Front.The Britain-based Observatory said thousands turned out for the funeral in Syria’s main Kurdish city. Organizing a party to celebrate Nowruz was a lesson in diplomacy for Rosa Burc, head of the Kurdish Society at the School of Oriental & African Studies (SOAS), part of the University of London. “The selection of songs proved to be political so we made sure there were both Northern and Southern Kurdish (Turkish and Iraqi Kurdish) ones,” she says. “It became an issue during the planning and we tried to include all Kurds.” The party is one of many activities organized by the Kurdish Society, which “aims to bridge students with Kurdistan’s culture, language and political discourse,” as stated on its Facebook page. By Michael Rubin: Given how the Turkish government has both used its security services and judiciary to target the prime minister’s political enemies rather than those who contravene the law, and how Prime Minister Recep Tayyip Erdoğan has apparently developed close business relations with a designated Al Qaeda financier, the idea that anyone in the United States government should take the Turkish government at its word with regard to terrorism is risible. And yet, successive administrations still do (and, admittedly, I once did as well) when it comes to the Kurdistan Workers Party (PKK) and its offshoots, one of which now governs much of northeastern Syria, which under Kurdish leadership has become a remarkably placid and functioning region in sharp contrast to just about everywhere else in Syria. By Jonathan Spyer: In late February, The Jerusalem Post spoke to prominent Kurdish leader Zubeyir Aydar in the Brussels offices of the Kurdistan National Congress (KNK). Aydar’s official title is president of the Kongra-Gel (Kurdistan Peoples’ Congress). Put more succinctly, he is one of the top two or three figures in the Kurdish Workers’ Party (PKK), and the head of the movement’s European operations. The PKK has been engaged in an insurgency against Turkey since 1984. It was once widely condemned as a terrorist organization, and remains on the EU and US list of terror groups – though this designation has little connection to the group’s current activities. Self-determination should be a straightforward concept. The right of nations freely to choose their sovereign status is enshrined in Article I of the founding charter of the United Nations and as such has the weight of international law. The principle can range from a nation’s right to independence as a sovereign state to the right of a minority to enjoy democratic representation and respect for its cultural rights within a unitary state. In the realm of realpolitik, of course, it is never that simple. The Kurds, better than any nation, know that national rights can be subsumed to the interests of the powerful. The principle of self-determination as set out by US President Woodrow Wilson at the end of World War I failed to result in the promised creation of a Kurdish state. By Salih Muslim: The civil war now engulfing Syria emerged from its people’s desire for political change. But the war is not universal: Since the outbreak of protests in 2011 against President Bashar Assad’s regime, and long before, one group of Syrians, the Kurdish community, has consistently sought peaceful change and respect for the rights of all. For Syria’s Kurds, the struggle against more than four decades of the Assad family’s Baathist dictatorship became particularly harsh after 2004, when security forces killed dozens of unarmed protesters in the northeastern town of Qamishli. This ignited the spark for democratic reform, and the Kurds were spurred on by the knowledge that our kinsmen had won political autonomy in northern Iraq and were creating a vibrant democracy. By Ofra Bengio: At the beginning of February 2014, Hevi Ibrahim, a woman, was appointed to the post of prime minister of Afrin, one of the three Kurdish autonomous cantons in Syria. This was the first case in modern times of a woman and a Kurd being appointed to such a high post. Indeed this revolutionary move is doubly significant. First, the declaration of the autonomy of Afrin was itself a turning point in the history of the Kurds in Syria, who until 2012 were an almost unknown entity to the outside world. Second, unlike in the Arab case where women assumed an important role in the “Arab Spring” revolutions but were sidelined later by the new regimes, in the Kurdish case women who took part in the revolution remained center stage and even managed to reap its fruits politically. Salih Muslim is the co-leader of the Democratic Union Party, the dominant Kurdish political force in northeastern Syria. DW: The Syrian Kurds have repeatedly claimed to be a “third side” in the Syrian conflict but you have not been invited to the Geneva peace talks. Why is that? Salih Muslim: There are many reasons behind it but the main one is the mindset that didn’t accept the Kurds being in the 20th century, and it’s seemingly applying to the 21st. We wouldn’t even mind not being invited as long as the Kurdish issue was discussed but that’s not been the case. Everybody is aware that any change in the status of the Kurds will affect the whole Middle East, which is against the interest of both local and foreign powers. That’s why they continue to deny our right to exist. Leyla Qasım was born in 1952 into a very patriotic family. She was the third of five children born to a farmer, Dalaho Qasim, and his wife Kanî. Leyla was born in Xaneqîn but relocated to Irbil when she was four years old. She and her brothers – Sebih, Selam, Sefa and Selah – were all very dedicated to their education. Leyla finished her primary and high school education before the policies of the Baathist regime forced her to move to Baghdad with her family. As Faylee Kurds they belonged to a group that has faced decades of brutal discrimination in Iraq. 25. European Parliament resolution of 12 March 2014 on the 2013 progress report on Turkey (2013/2945(RSP)), 12 March 2014. 26. Report to the Turkish Government on the visit to Turkey carried out by the European Committee for the Prevention of Torture and Inhuman or Degrading Treatment or Punishment (CPT), 13 March 2014.